When it snows, it pours…. We are hunkered down today watching the snow fall with the blowing and the drifting. We have been told that we officially have just under 2′ of snow on the ground so far. 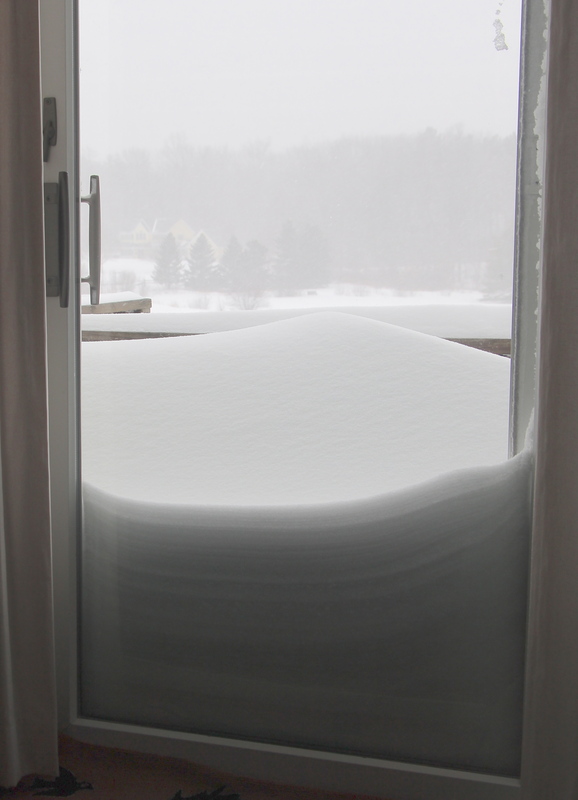 We measured our drifts against the house at over 3′. Portland ME, just north of us, broke their previous 27.5″ record with 29.3″. Snow will continue to pile up through the day in the area. Lovely to watch but we’re staying put!